To modify the notification preferences on a saved search, choose the Edit option. You will see a pop up window that allows you to make those changes. Based on your settings, you will receive email updates instantly, daily, or weekly. You will only receive an email if there is new activity. So, for example, if you have a daily alert and there was no activity in the previous 24 hours, you will not receive an email notification for that Saved Search. In order to view your updates, simply click on the colored number badge for the associated Saved Search. (In the above example, that would be the orange number 6.) 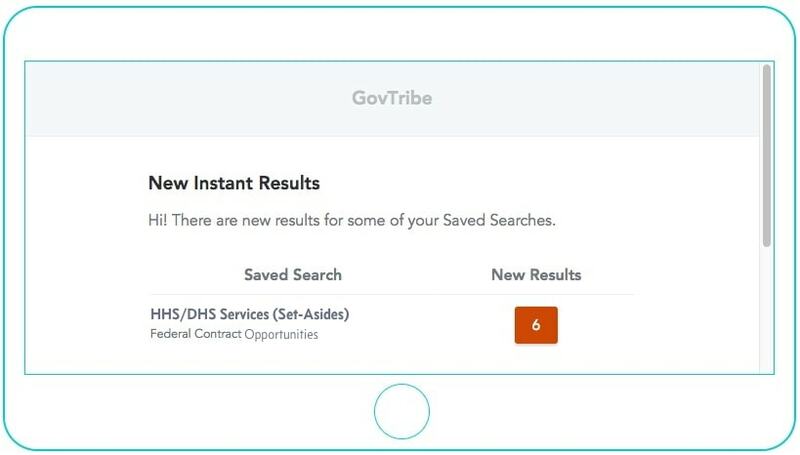 Doing so opens up a browser window and loads the associated search page on GovTribe with the search parameters for that search already set. There will be a status bar at the top of the page indicating that you are viewing one of your saved searches. The search results shown on the page will be only the "New Results" that were indicated in the notification email you received. 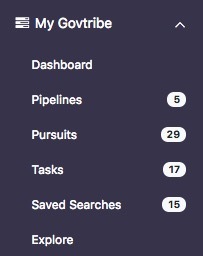 To see all results for that same set of search criteria, simply click the "Close" button on the Saved Search status bar as pictured above. 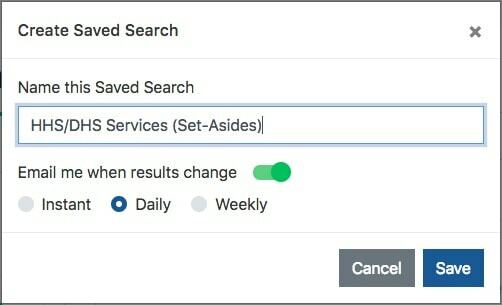 All of the saved search parameters will remain, but you will no longer be filtered to just the most recent updates.